Every day, it seems that we hear more and more about how obesity rates are rising. 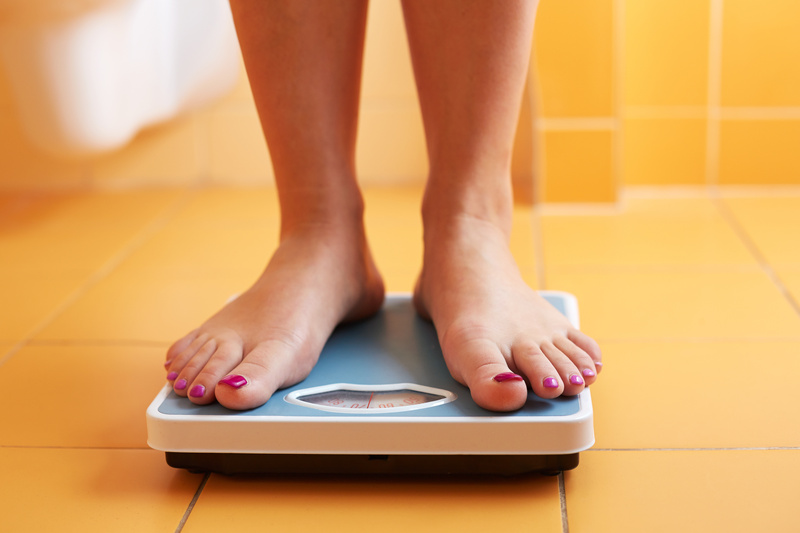 It’s not surprising to know that nutrition and exercise play a role in weight, but did you know that there are other things in your home that you use every day that could be contributing to weight gain? They are found in everything from shampoo and makeup, to food containers and plastic water bottles, and they can affect us before we are even born. These chemicals, called obesogens are a category of endocrine-disrupting chemicals that can promote weight gain and obesity by disrupting metabolism, increasing the size and number of fat cells, affecting thyroid function, and by altering appetite and satiety (feeling “full” or satisfied after eating). What is an endocrine-disrupting chemical? An endocrine disruptor is a man-made chemical or substance that interferes with the function of the endocrine system. The endocrine system regulates every function of the body. It is composed of the thyroid, pituitary and adrenal glands, pancreas, ovaries, and testes. 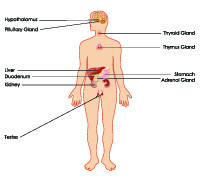 The endocrine system is where our hormones (“chemical messengers”) are made. So if you can imagine a synthetic substance either imitating or getting in the way of a hormone trying to do its job, you can see where this can cause health issues to crop up. For example, endocrine disruptors can mimic natural hormones that help regulate how many fat cells a body makes and how much fat to store in them. These chemicals are also stored in the body’s fatty tissue and do not easily get flushed out, meaning that they keep accumulating inside the body. Research is showing that the rise in the obesity epidemic may be partly related to these hormone-mimicking substances even before birth, occurring through a mother’s exposure to environmental chemicals. Obes ogens have been found to act on genes in the developing fetus to turn more cells into fat cells. These cells stay with you for life, and may alter the metabolic rate so that the body hoards calories rather than burns them. This results in an increase in body fat as one ages, as well as difficulty in losing excess weight. Not a great start! A little technical here, but this is what further studies found as to how this happened: the tributyltin activated a certain receptor that acts as a “switch” for cells. In one position, the cells remained fibroblasts, which make up the body’s connective tissue, but in the activated position, the cells were guided to become fat cells. Scientists in Japan found similar results in studies on cell cultures using BPA, a chemical used in many plastic products such as baby bottles and water bottles. Studies have found that obesogens not only have an effect on cell cultures and in mice, but in humans. 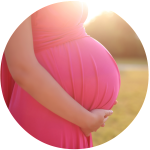 In 2008, scientists in Belgium found that children who were exposed to higher levels of PCBs (flame retardants) and DDE (pesticides) in the womb were heavier than those who were exposed to lower levels. In 2005, scientists in Spain reported that the more pesticides that fetuses were exposed to, the higher the likelihood of their being overweight as toddlers. Researchers believe obesogens are the reason for the rise in obesity for children and in people under the age of 50, when these chemicals became more common and exposure during development was more likely. In fact, Dr. David Ludwig, director of the Childhood Obesity Program at the Children’s Hospital in Boston, said…. Where are endocrine-disrupting chemicals found? So can you blame your weight on your cosmetics and cookware? Bummer, but not really. Obesogens are not to blame for all weight gain and obesity. Researchers say that an individual who did not have a weight problem growing up, but are heavy as adults probably cannot blame chemicals for the weight gain, as it would have shown up as a weight problem in childhood. So if these chemicals are so common and found in most people, the big question is, why isn’t everyone obese? There is still a lot of research to be done in this area, but so far researchers are saying that the timing and amount of exposure, as well as individual physiology, may make a difference. Eat organic produce, meat, and dairy as often as possible to avoid pesticide exposure. Avoid products with “antibacterial” or “antimicrobial” on the label. Buy BPA-free canned foods (find a list here). If using plastic products, look for recycling codes 1, 2, 4, or 5. These are usually located on the bottom of a product, and have an arrow around it. Avoid using non-stick cookware and utensils, and slowly replace them with stainless steel or cast iron cookware. Avoid products with the words “fragrance,” “parfum,” or “other” on the label. Fragrance usually contains phthalates.